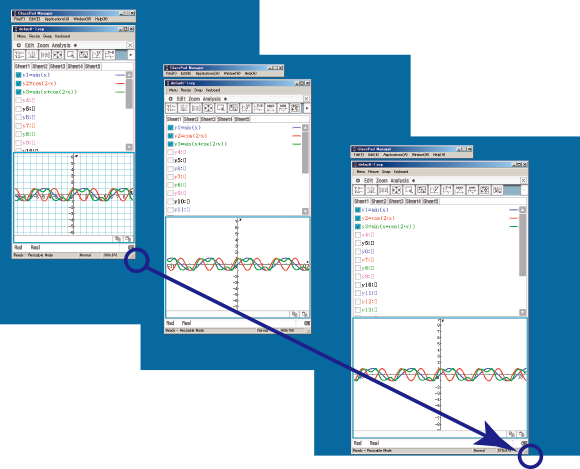 ClassPad Manager is an emulator of fx-CP400/fx-CG500, ideal for preparing teaching materials and presenting in the classroom. Click here to check the latest OS. 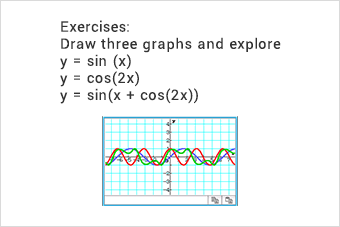 ClassPad Manager is software (Emulator) that emulates operation of graphing calculator fx-CP400/fx-CG500 on your computer. 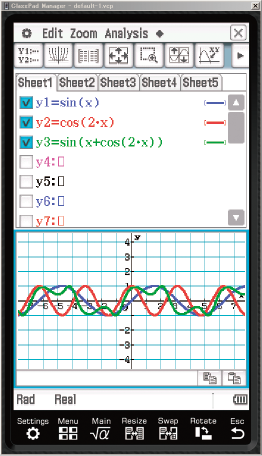 This software has almost same functions and operation as hand-held graphing calculator fx-CP400/fx-CG500. 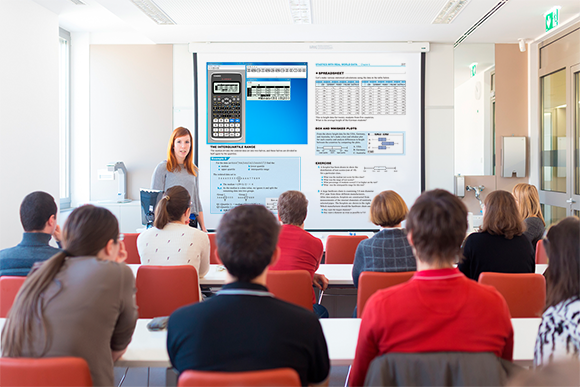 This software enables teachers to prepare teaching materials (Activities) and present them in the classroom using a projector (Workshops). You can change the display size. 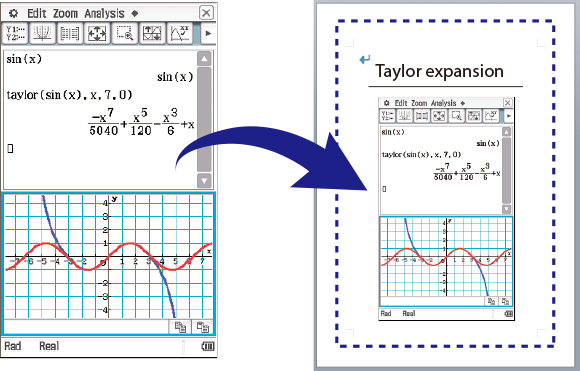 Students can easily see the display even from the back of the classroom. You can copy an image of the screen into another applications. It is extremely useful for the preparation of teaching materials. Each time the software is activated, it automatically checks the Web and indicates when there is a new OS.